Complete set of 17 woodblock prints in its original folder, including table of contents. Folder size: 23 x 30 cm. (closed). 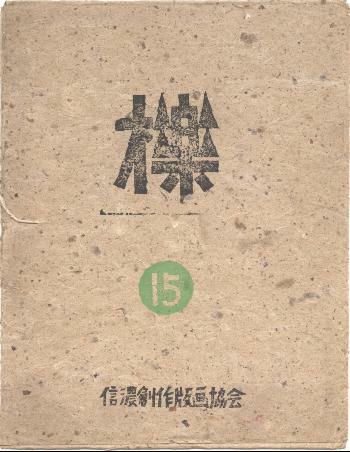 This set was published by The Shinanô sôsaku hanga kyokai (The Shinano creative prints study society) in October 1951. Most artists are not found in the Western Literature. This set is characterized by its very good quality and the variety of styles and subjects. For an overview of the 17 prints see "detail". Very good impressions, colours and condition. This set is unrecorded in the Western literature: Helen Merritt mentions 12 sets of Kunugi published between 1934 and 1937, but no postwar sets.